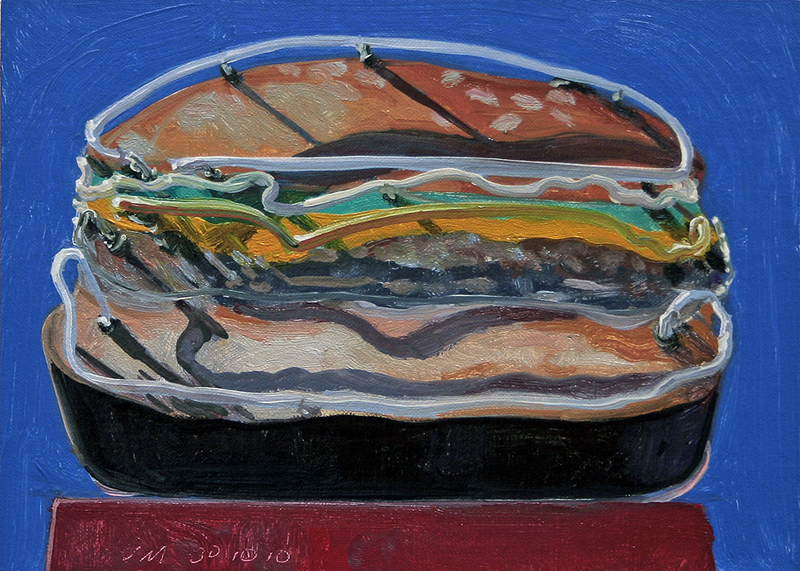 This daily painting is a view of a Neon Burger sign in Louisville, KY. 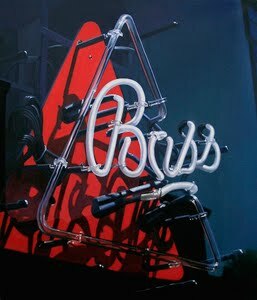 This is to go with yesterday's Coke sign. 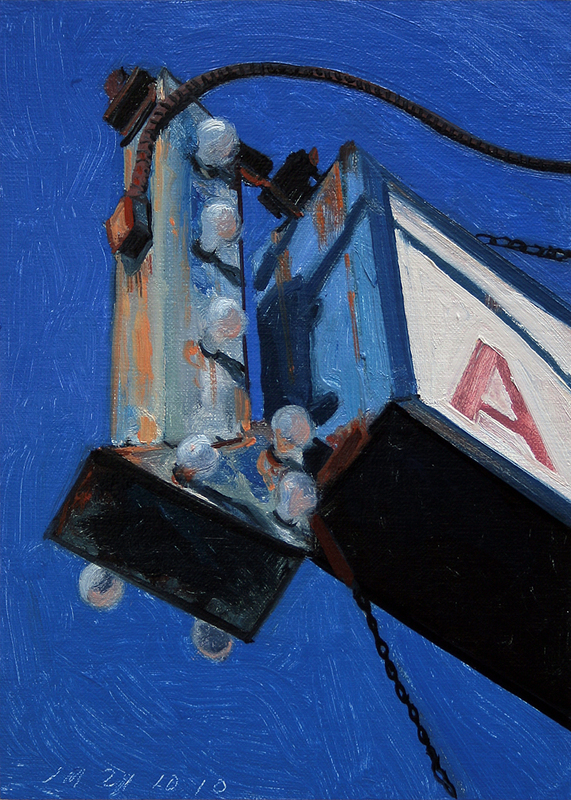 The third in the Louisville series of paintings. 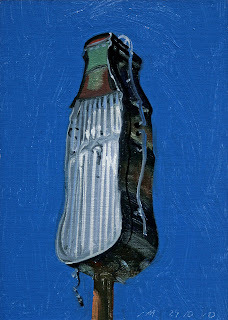 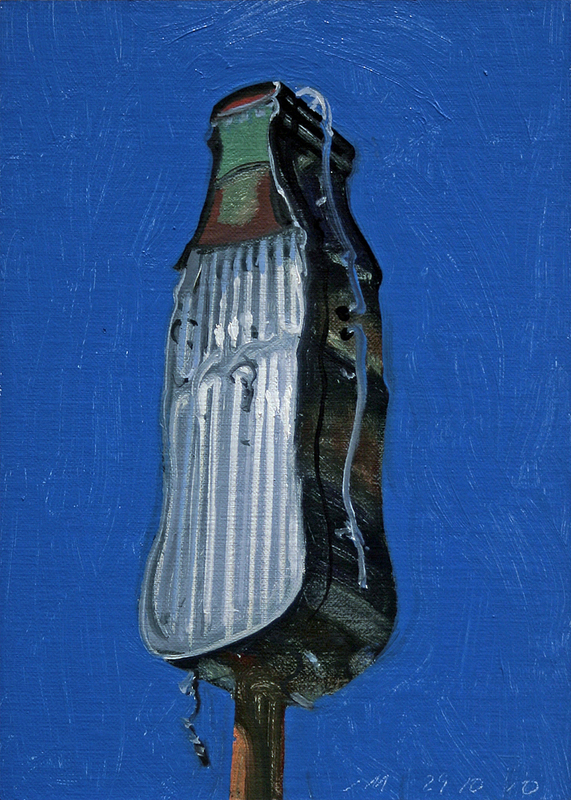 This daily painting is an urban landscape of a Coca-Cola sign in Louisville, KY. The sign was damaged in an ice storm a few years ago. 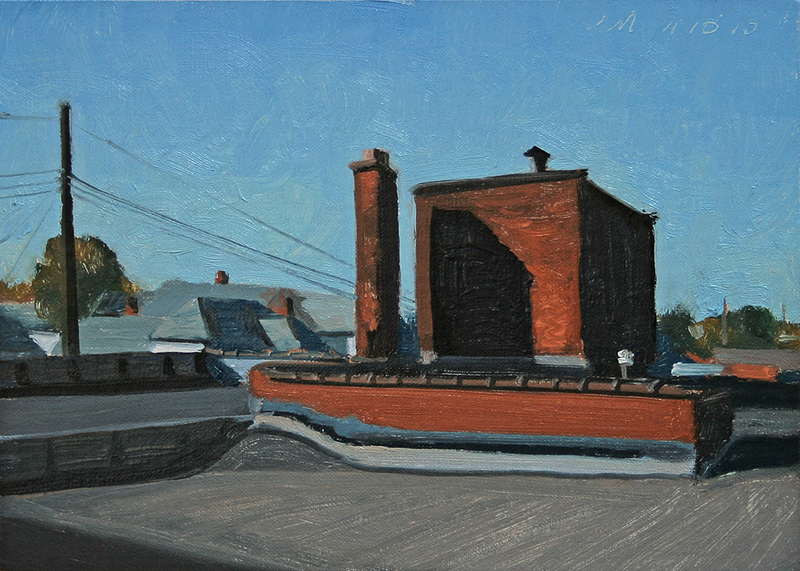 The second in the Louisville series of paintings. This daily painting is an urban landscape of a detail of the Big Four RR Bridge over the Ohio river in Louisville, KY. We were in Louisville for a visit with Janet's father and I have some really nice shots, so may do a short series of Louisville paintings. 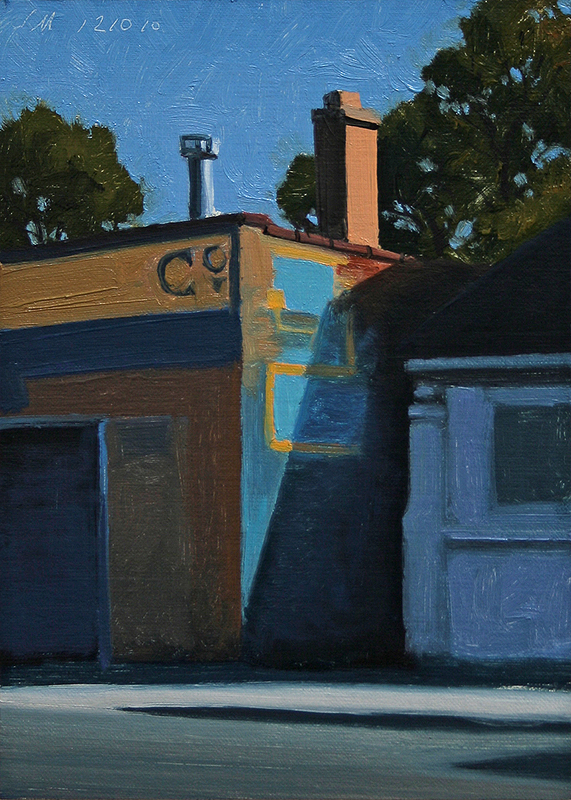 This daily painting is an urban landscape of some buildings in early morning light. 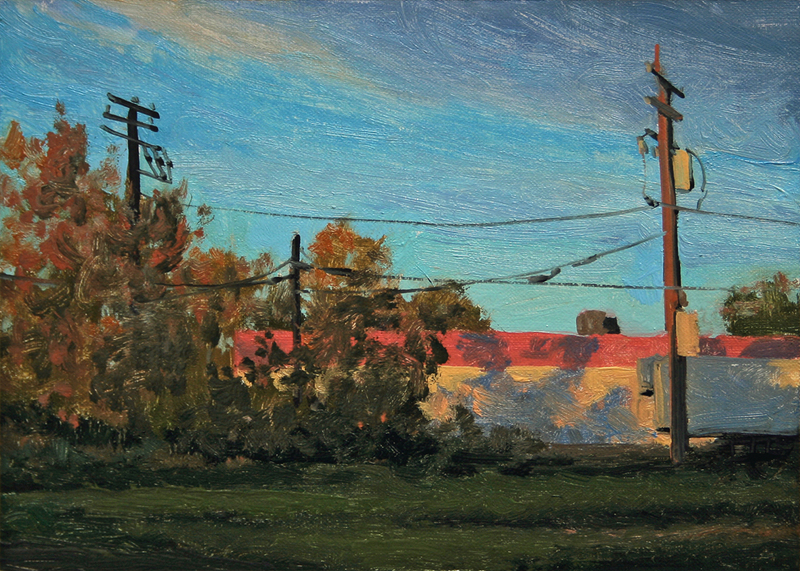 This is near Mack Ave on Detroit's east-side. This daily painting is an urban landscape of the blue arrow sign on Gratiot Ave.
is daily painting is an urban landscape in the same general area as the last few. This one is near Mack Ave on Detroit's East side. 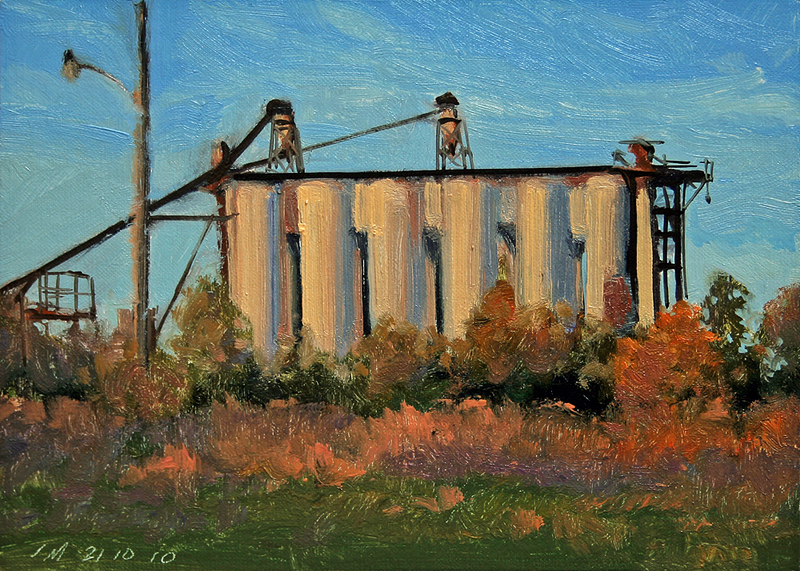 This daily painting is an urban landscape of the storage silos near the Dequindre Cut shown in Wednesdays post, seen from a different view. 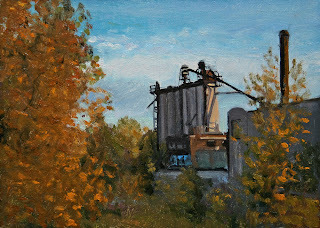 In October morning light. 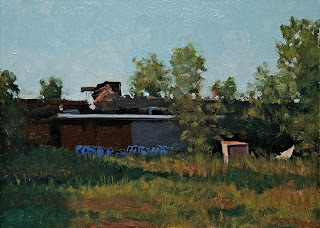 This daily painting is an urban landscape of the Dequindre Cut, a below grade rail bed and bridges near Eastern Market. 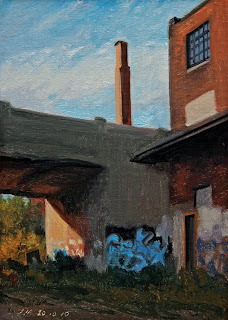 Part of this rail bed has been converted into a walking and bicycle path. 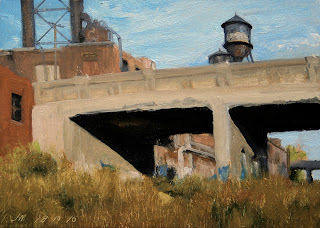 This section has not been completed, the rails have been removed. This daily painting is an urban landscape of a view of a backyard with a bright yellow sign in Hamtramck.It is from the back yard of Popps Packing, an experimental art venue and studio that host seasonal indoor/outdoor installations, exhibitions, and performances. 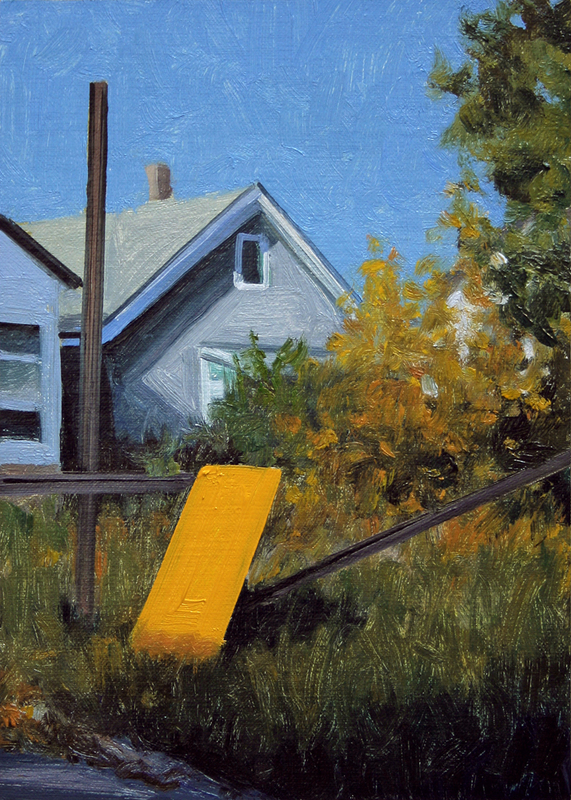 The Andrew Krieger show there was a knockout. 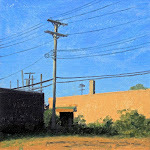 Please visit his site. 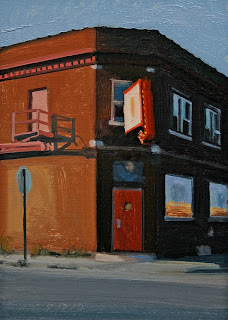 This daily painting is an urban landscape of a view of the The Atlas Lounge... one of the last standing neighborhood gems in Hamtramck.....Karaoke Thursdays! 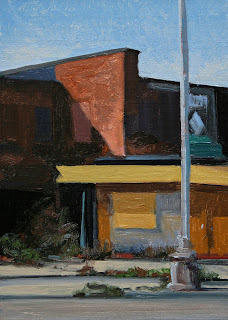 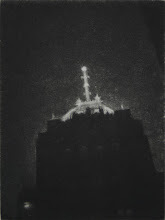 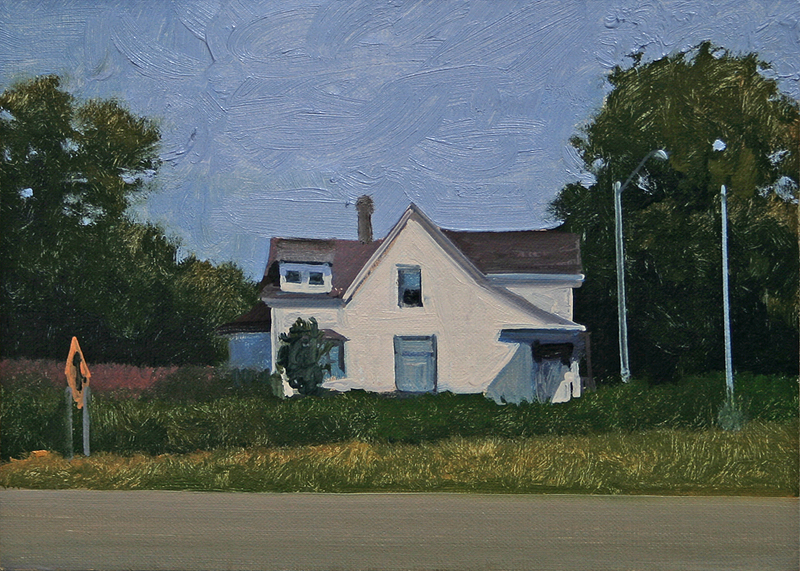 This daily painting is an urban landscape of a building on a quiet Hamtramck St. 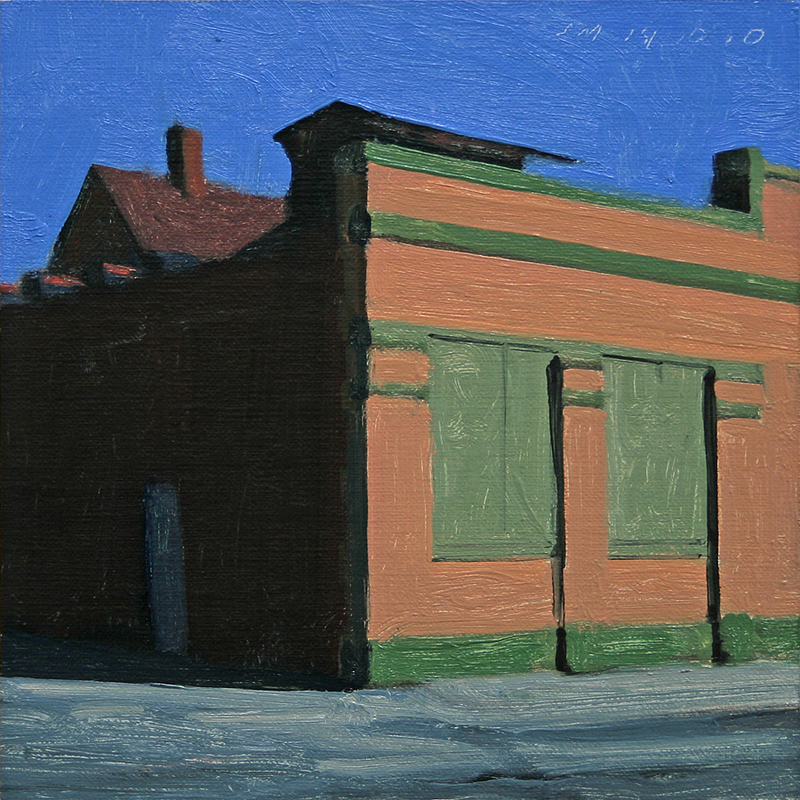 This style of building was used as storefronts and can be seen all over Hamtramck. 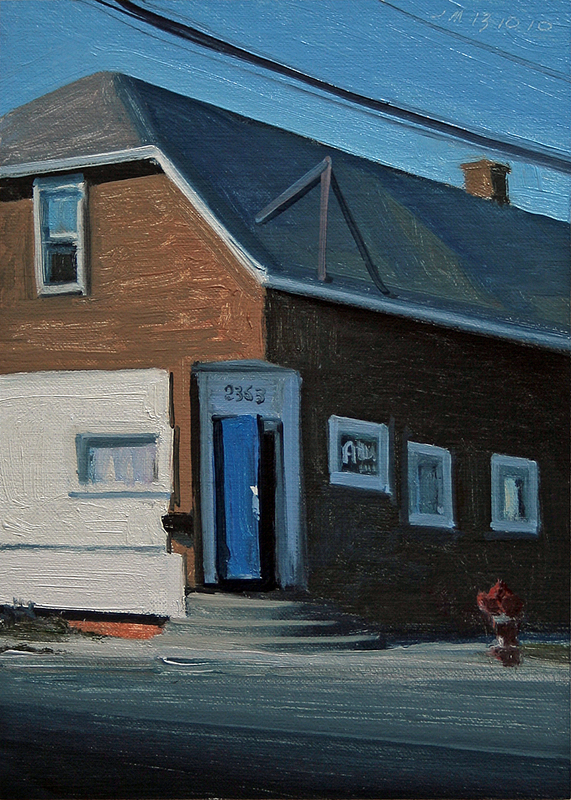 I love the simple shapes and austerity of these wonderful buildings from another era. 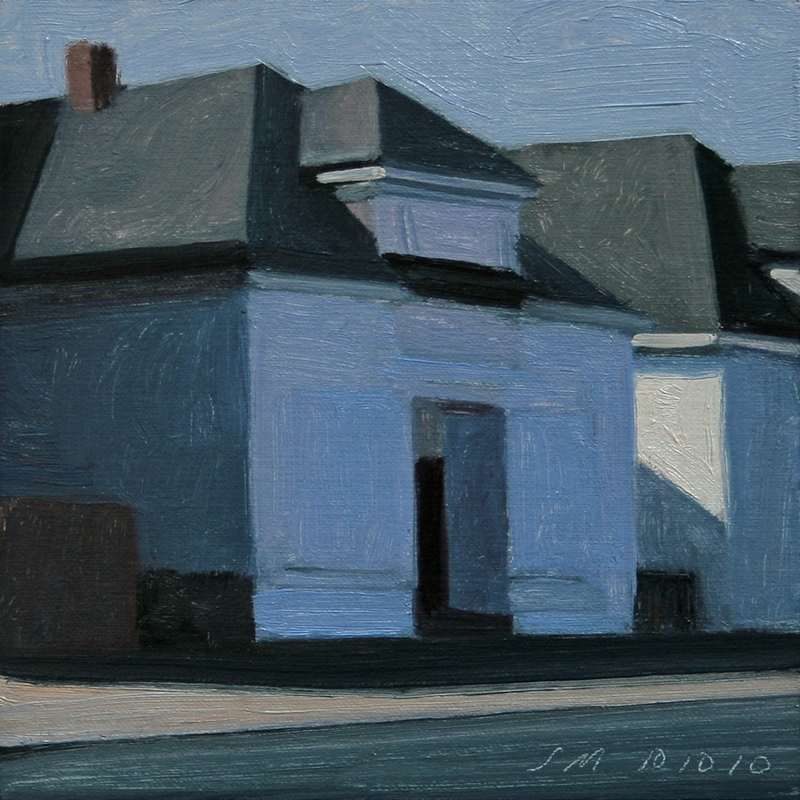 There is so much mystery to these, who lived and worked in these through the years? 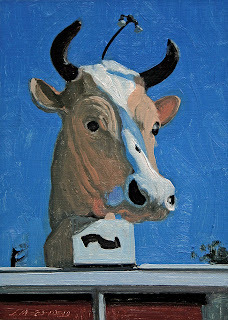 And what stories could they tell us. 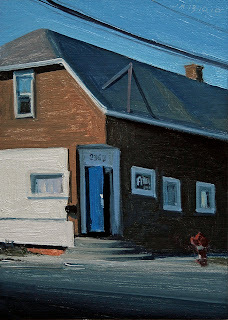 This daily painting is an urban landscape of a corner building with a red door. Many of these small storefronts are being revitalized by an upswing of young entrepreneurs starting new businesses in the city. I find this very inspiring for Detroit. 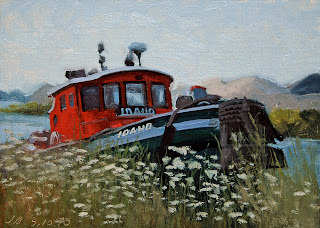 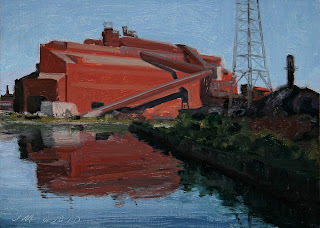 This daily painting is an industrial landscape of the Rouge Plant and reflection. 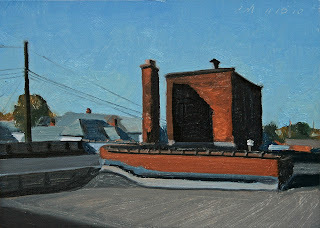 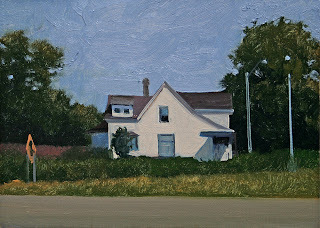 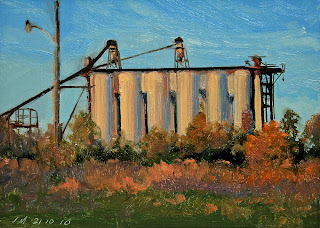 This daily painting is an urban landscape of a building on Jefferson Ave. 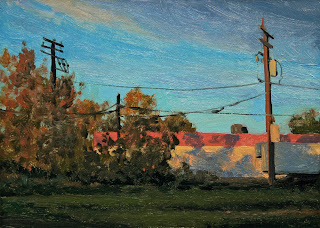 The orange sign said "Mr Bing Please take us down" It sometimes surprises me how dramatic and beautiful the forgotten and neglected can be. 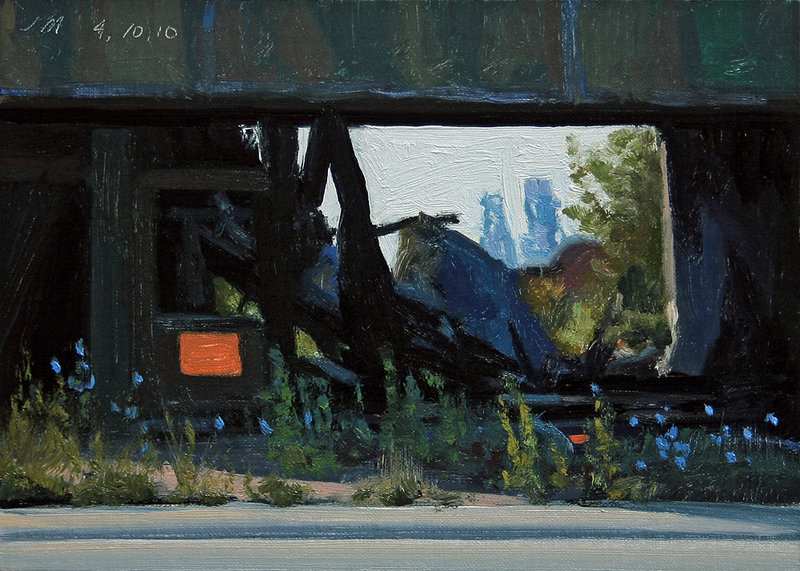 This daily painting is an urban landscape of an interesting building on Gratiot Ave. 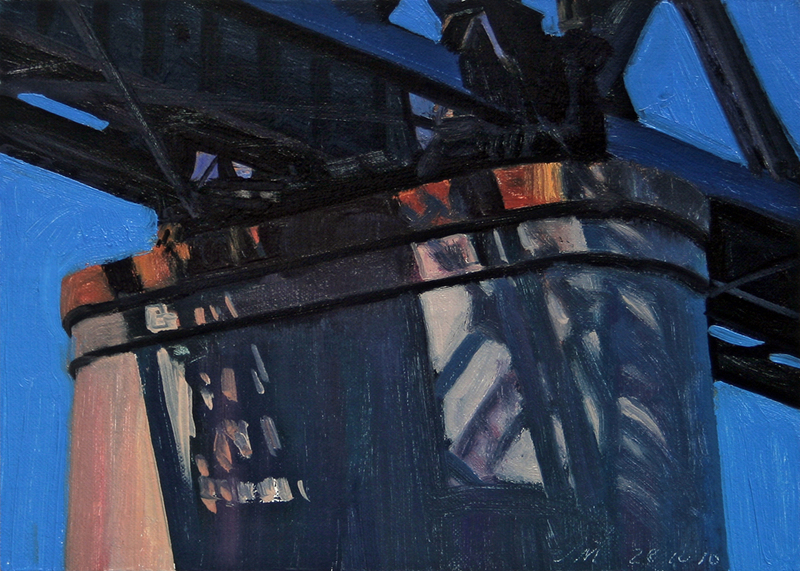 I really liked the contrast and abstract shapes on this one.